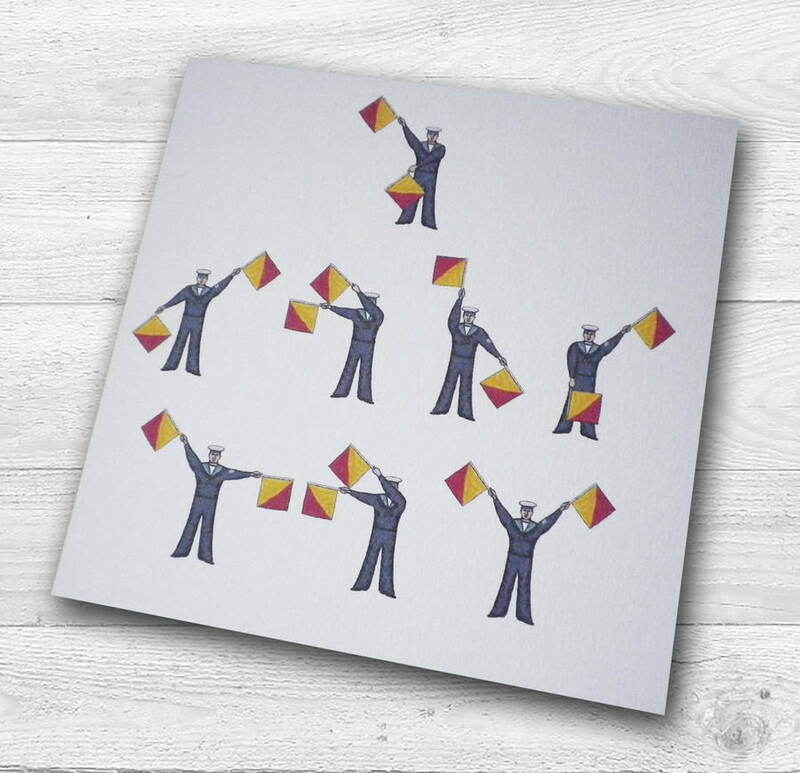 A unique nautical theme gift card with I LOVE YOU or a choice of personalised name spelt out in semaphore flags. With my own illustrated naval semaphore flags alphabet I have created this unique gift card that would be perfect for a keen sailor on valentines day or a birthday. 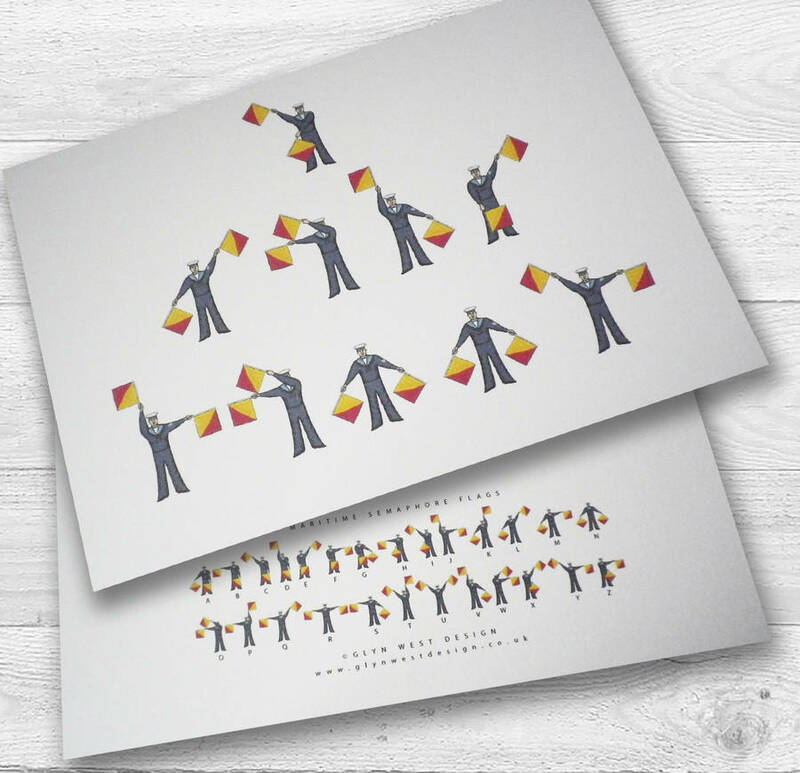 You can personalise it with the recipients name spelt out in semaphore flags. 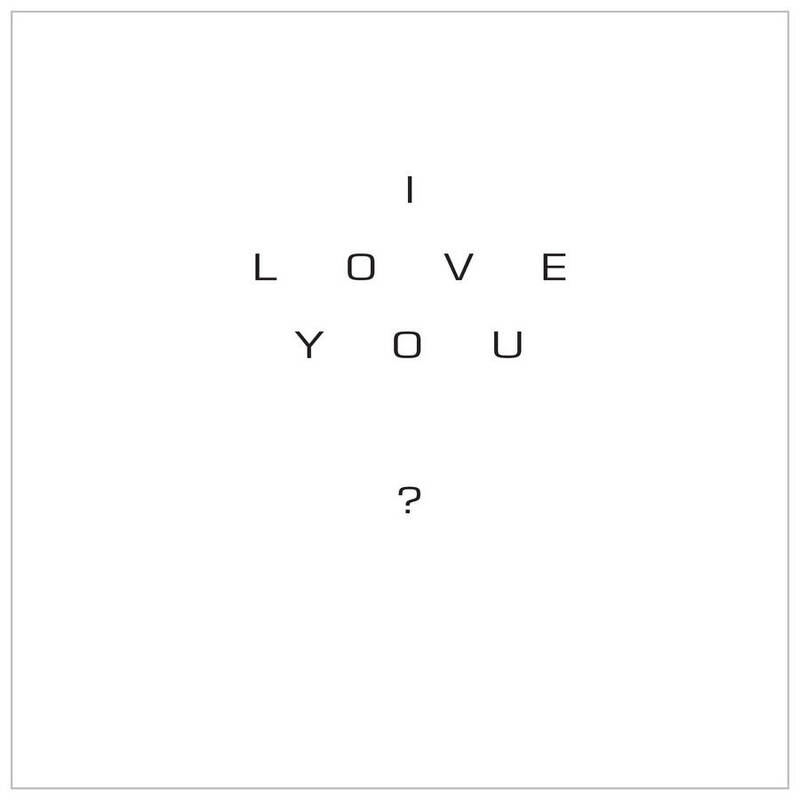 Each card carries the full alphabet key on the reverse. It would also be perfect for framing as a keepsake and nautical theme decoration. 300gsm felt finish white card with a 100gsm white gummed envelope.